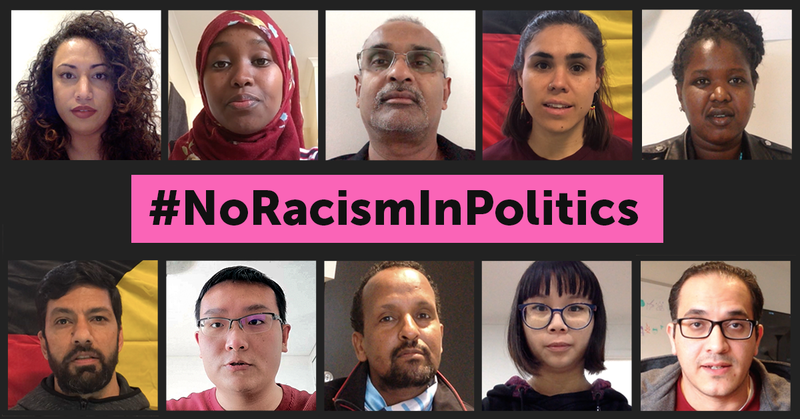 We are an independent national movement of Aboriginal, Torres Strait Islander and migrant communities campaigning around issues of racial justice. 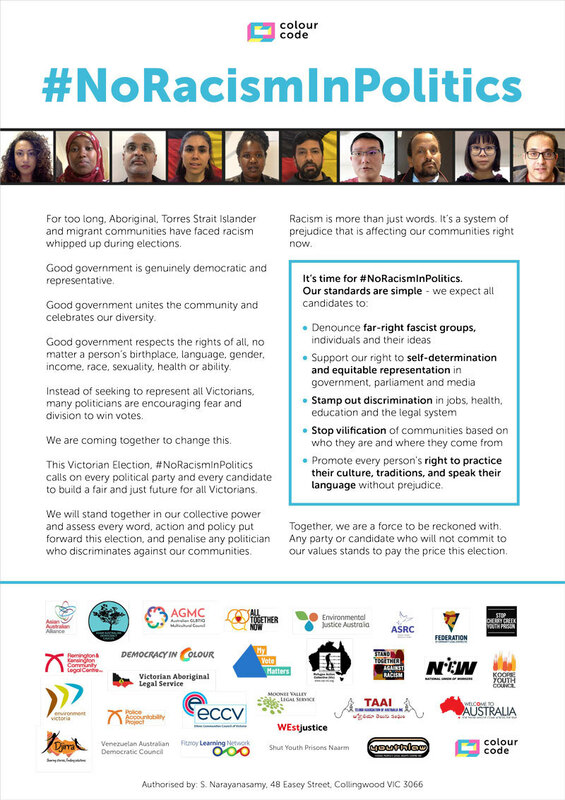 At the Victorian Election on 24 November, we're voting for a fair society that includes us. For far too long our communities have been singled out by politicians or flat out ignored. But we can stand together to put the issues that affect us front and centre. Together, we have put every political party on notice. We have independently assessed their words, actions and policies to let our communities know exactly what electing them means for us. Although these parties will go to any lengths to get their messages of fear and division as far and wide as possible, we have people power on our side. We can all work together to change the narrative and take action to achieve migrant and Aboriginal and Torres Strait Islander peoples' rights. Where do the parties stand on our issues? Next, we surveyed political parties and asked them where they stand on each of these issues. We also researched party policy platforms and statements from spokespeople. You can find a detailed scorecard including survey response information and our research here. The Australian Country Party, Democratic Labour Party, Derryn Hinch's Justice Party, Liberal Party, Shooters, Fishers and Farmers Party, Transport Matters Party and Victorian Socialists did not respond to our survey. Next, we produced a simplified scorecard. This scorecard includes all parties who have a decent chance of being elected, based on past electoral success. 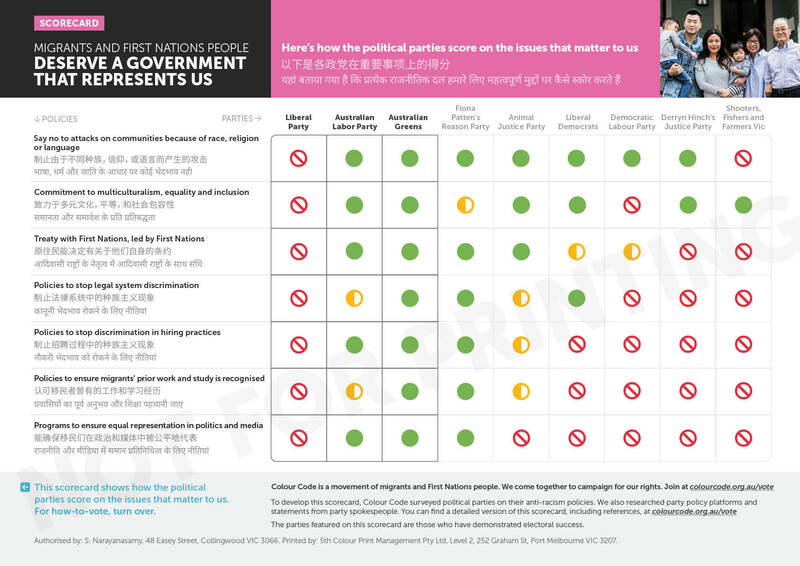 Finally, we produced a voting guide, featuring the parties who performed the best on our scorecard. Let's unite to stand for our rights. Add your email below to join the movement! Are you an Aboriginal or Torres Strait Islander person? Are you a person from a non-European background or identify as a person of colour?